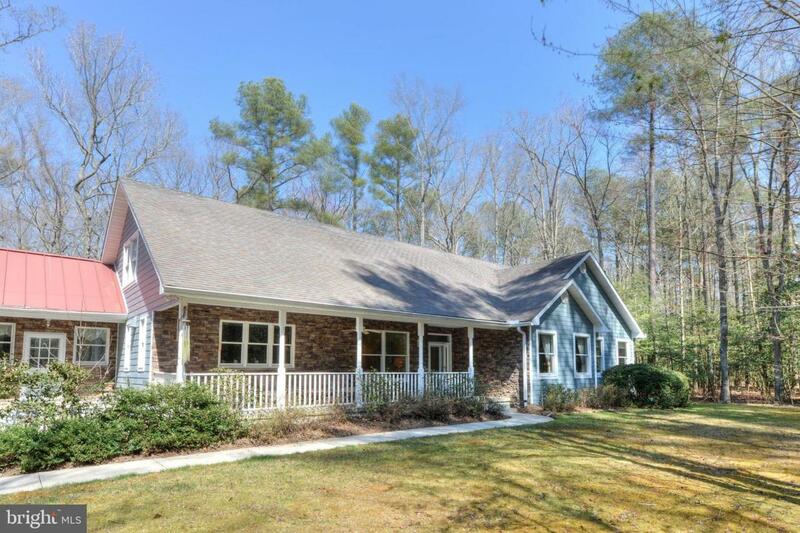 Welcome to your private, wooded oasis at 32043 Conleys Chapel Road. 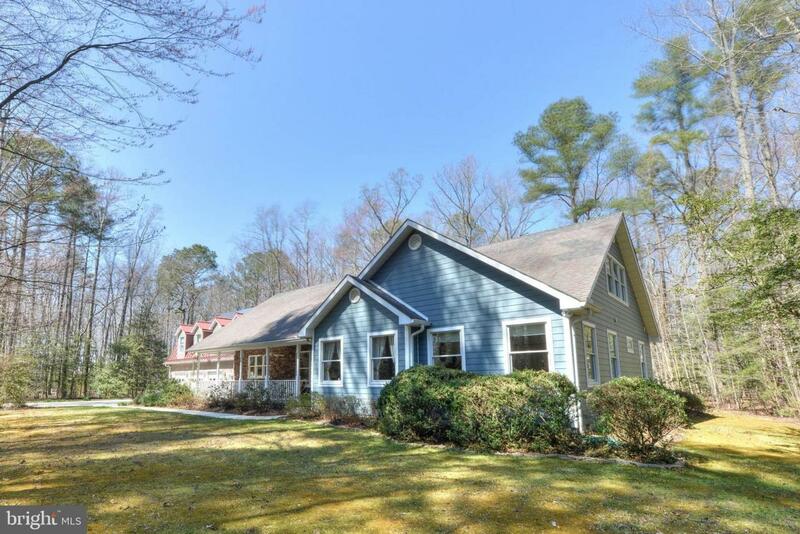 This 14.3 acre property is being offered for $290,000 UNDER APPRAISED VALUE and has all the privacy and tranquility you have been searching for. 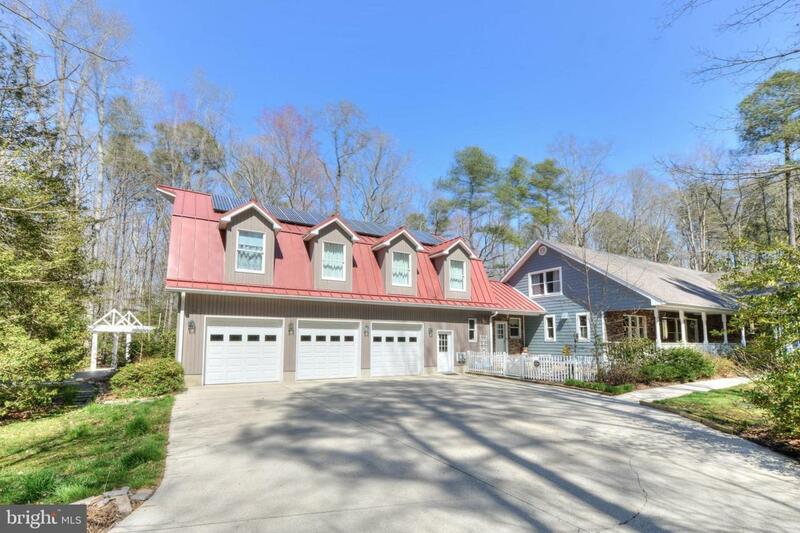 Located just 8+/- miles to both Lewes and Rehoboth Beach, the 5 bedroom, 3.5 bath main house encompasses 5774 sq.ft., and includes an attached 40 ft. x48 ft. three car garage with additional side entry for enclosed RV or boat storage. Home sits on a spacious, 4.5 ft. high, conditioned crawlspace with concrete floor and 2 sump pumps. The main floor of the home includes the master suite, two guest bedrooms, laundry room, multiple living areas, sun room, grand dining room and a spacious gourmet kitchen. The 2nd floor features two expansive bedroom suites with full baths and a second laundry area. Main house has 4 HVAC zones. Relax on your outdoor 20 ft. x 24ft. patio with massive stone fireplace, 8000 gallon fish pond with waterfall, and outdoor cooking area. Entertain guests in the 1500 sq.ft. separate guest house complete with its own kitchen, full bath, HVAC system and water heater. The downstairs is perfect for wine or beer tastings or gathering groups for a dinner party. Through the woods you will find your very own tree-house complete with electricity, windows and a deck with drink ledge. Yet another feature of this expansive property is the outdoor covered 16 ft. x 24 ft. pavilion, complete with electricity. This space has been used for cocktail parties and even square dancing! If all of that isnt enough, the home has 62 solar panels making the cost of owning such a large property extremely affordable. Entire property is surrounded by a split rail fence and Sarahs Creek runs through the back of the property. The dramatic, 1800 ft. paved driveway is completely lit and leads you to your private, tucked away paradise. 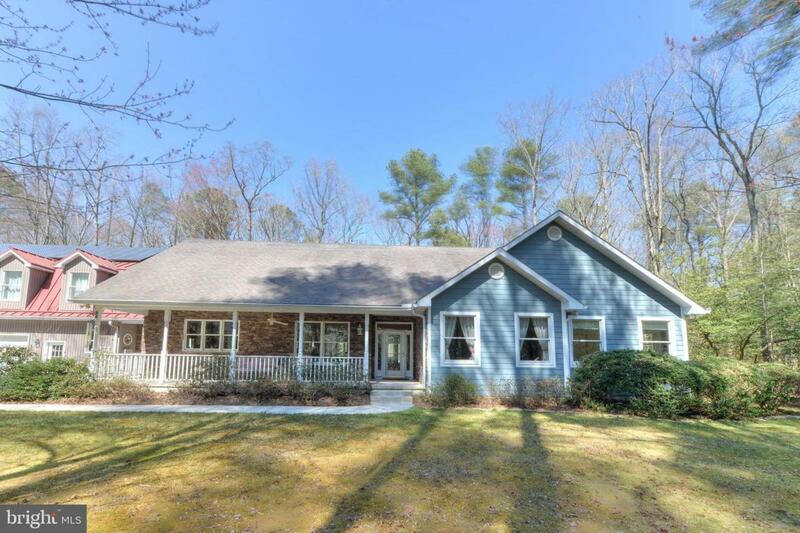 Finally ~ a home where privacy, affordability and location all coincide! Exclusions Wagon Wheel Chandelier in Pavilion Swinging Bench Seat in Pavilion Brewery Table/Equipment/Sink in Guest House Hot Tub Refrigerator in Guest House Furnishings. Green Remarks 62 Solar Panels - Owned.